dōTERRA Melaleuca essential oil is renowned for its cleansing and rejuvenating effect on the skin. For occasional skin irritations, apply 1–2 drops of Melaleuca essential oil onto affected area. For an added cleansing property, combine 1–2 drops with your facial cleanser, or apply to the skin after shaving. Not only is it best for cosmetic care, dōTERRA Melaleuca works great when cleaning hard surfaces. Add a few drops to a spray bottle with water and use on surfaces in your home to protect against environmental and seasonal threats. 1. 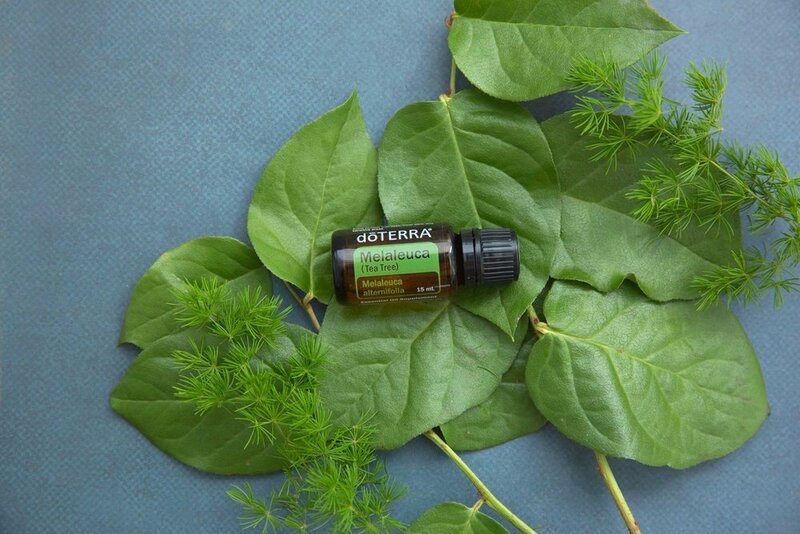 Supporting sore throats - a few drops over the throat and chest. 2. Supporting sinus congestion - a few drops over the sinuses with a carrier oil like fractionated coconut oil. 3. Great to support kids who complain about itchy feet or for the athletes in your family - a few drops on each foot massaged in with a carrier oil. 5. Supporting ear aches - put a drop or 2 on a cotton ball and place inside of ear. Or you can apply Melaleuca around ear with a carrier oil instead. If you are ready to make a change in your life and experience more balance, wellness, and empowerment using certified pure essential oils then let’s chat!